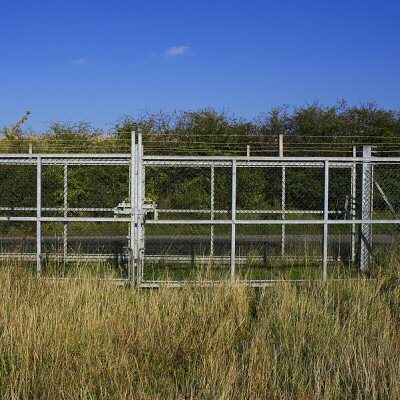 Security Fence Company has over 30 years of experience in manufacturing and installing Aluminum Slide Gates and Access Control Systems. Service: Manufactured specifically for your job "on time"; with *FREE delivery on our trucks. Simple Pricing: Per foot costs for each opening size. No Adjustments: Designed and welded with structural diagonals to eliminate the need for truss rods and cables to prevent sag. One Piece Construction: Gate openings up to 30' (single) are shipped completely assembled and wired.